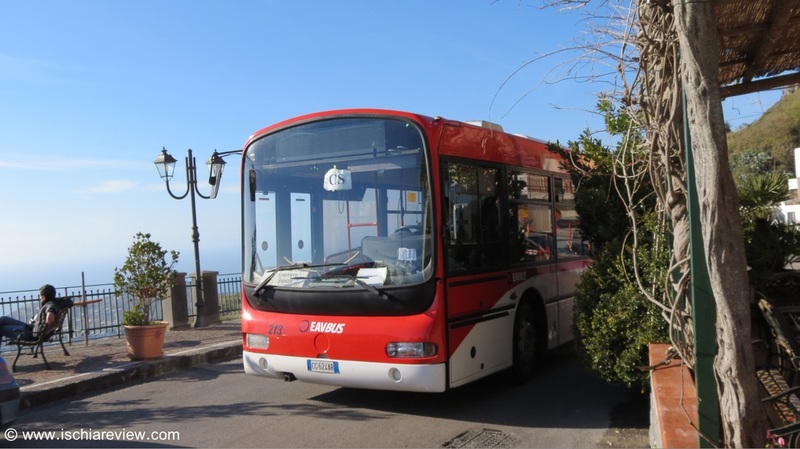 Full guide to bus services in Ischia including timetables, routes, prices and general advice about using Ischia's buses. Bus is the most cost-effective way of getting around Ischia and also allows you to reach most of the destinations you should require during your stay. Buses are frequent and run from early morning right through until late at night. Please see the EAVBUS Timetables below for full details. You can buy tickets in bars, tobacconists, newsagents, travel agencies, and some hotels. You can also buy tickets on the buses from the driver but you do pay a little bit extra to do so. It is also possible to buy "season-tickets" for longer periods of time with a sliding-scale of prices. It is important that once you are on the bus and have your ticket, that you then stamp it using the machine on the bus. If for any reason this does not work then you should alert the driver. Failure to stamp your ticket can result in a large fine. Children under 6 years old travel free. For anyone above that age the prices above apply.